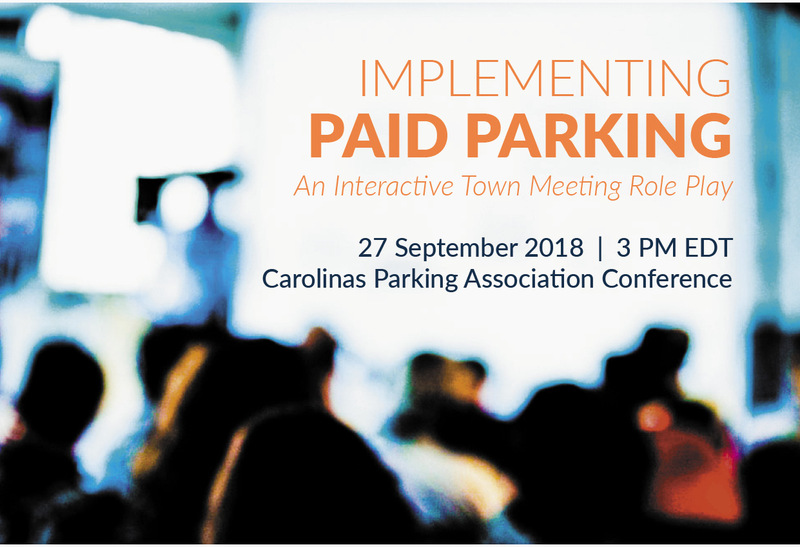 Join Geoffrey Posluszny, Consultant and Jon Martens, Consultant at the Carolinas Parking Association Conference in Hilton Head, South Carolina this month in an interactive session. When implementing paid parking, the public process often makes or breaks the best laid implementation plan. In this interactive session, attendees will get to role-play a Town Meeting where the Town Council presents a plan to implement paid on-street parking. Learning Objectives: identify the benefits of implementing paid parking; predict potential reactions various stakeholders will have when presented with a paid parking plan; and prepare effective responses in advance of the public meeting.